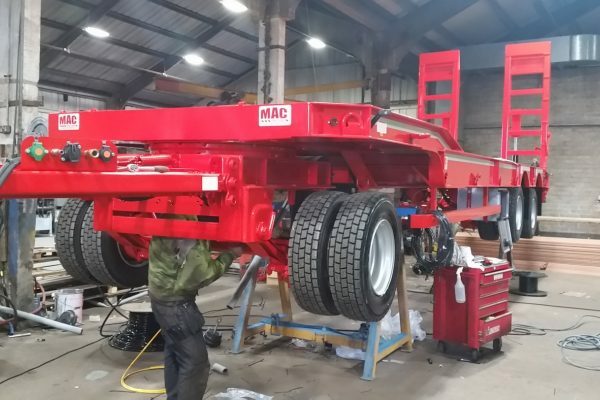 McCauley Trailers Ltd has invested extensively in equipment necessary for Trailer production so that the vast majority of work can be carried out in house. This means quality can be measured and lead times are in the company’s own control. The engineering workshop has automated CNC Brake Press, Plasma, Saws, Radial Drills and Guillotine all supervised with skilled machine operators and programmed by our own in house Design and Engineering department using state of the art computer nesting software. 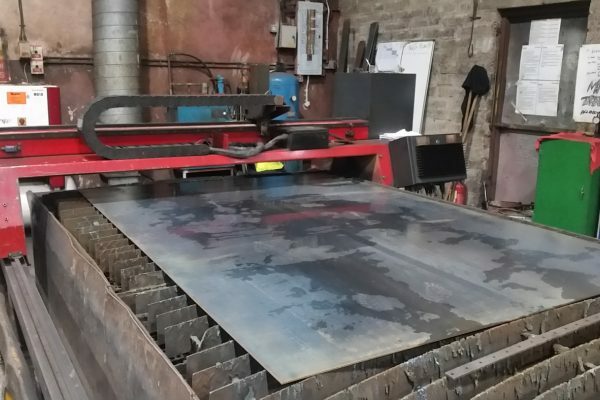 McCauley Trailers has a 14m template automated jig to house a ESAB Sub – Arch Welder to enable the company to manufacture its own beams. This allows McCauleys to specify the thickness of chassis beam flanges and web plate to make them unique to different trailers and to reduce weight and improve strength on trailers chassis. This heavy penetrative weld gives strength to the trailer which many competitors cannot add to their own products. 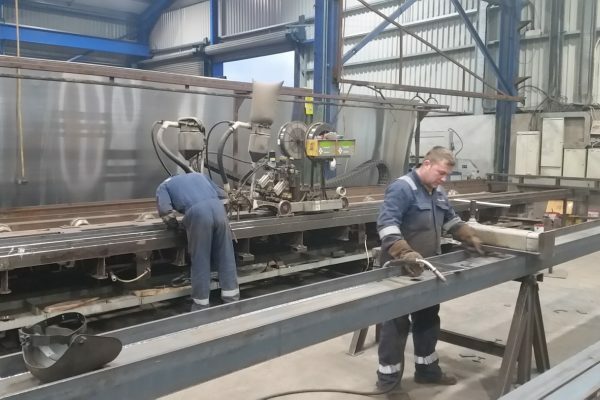 The process is managed in house allowing for beams to be made for semi trailers, drawbar trailer and turntable trailers from 5m to extending trailers at 22M and from 2axles to 5axles carrying a range from 10T to 70Tonne. (see our videos section for full process on sub arch beam production). 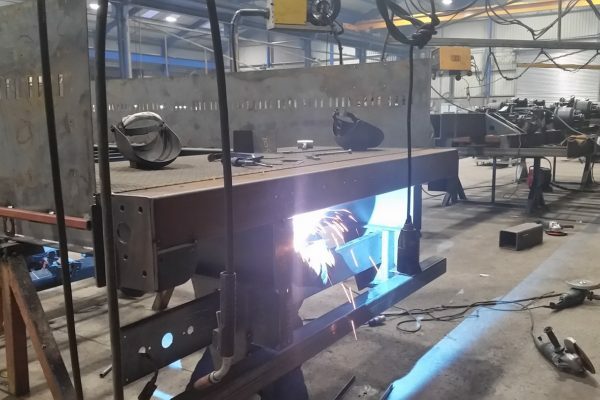 All of McCauley Trailers start fabrication in its representative Jig, which allows for increase in quality and ensures all trailers are produced to the same standards. 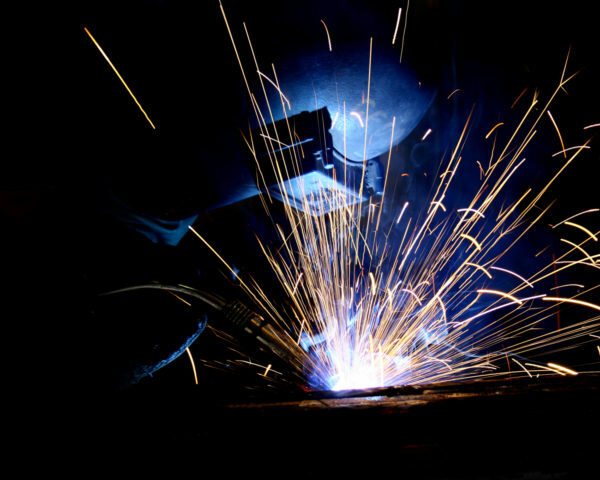 All fabrication staff complete a comprehensive weld test to ensure work is up to the standard required and they implement all modern MIG welding techniques. Each trailer is given a unique ID number which matches to the drawing and specification information which allows fabricators and supervisors to make sure any customer customisation is met as required before the trailer goes to paint. All trailers are scrapped down, degreased and sand blasted using an environmentally friendly recyclable blast. Once fully blasted and cleaned the trailers are then moved to our new painting facility where a coat of primmer is applied followed by a top coat high build gloss. All paint thickness is checked and recorded along with RAL code against the ID number. 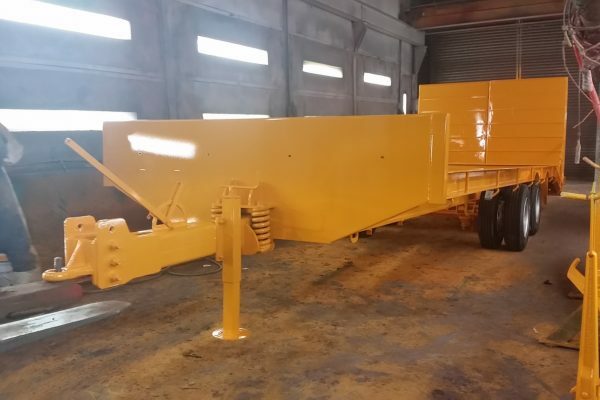 McCauley Trailers offer a customised service where we can paint Maine Specification, Anti Corrosive coating, Metallisation, Galvanising or painting trailers in number of tone finishers. These options can be discussed with your sales representative at the time of order. Once painted and checked the trailer then is set to have all braking applications and lights fitted to make it road worthy. Skilled staff fit numerous braking options from Hydraulic, Air, ABS and EBS. With braking a large number of light options are available from LED. BULB, work lamps, outline makers, wide load boards and different models of tail light which fall under our Type Approval scheme all fitted by experience in house Pneumatic fitters and Vehicle Electricians. McCauley Trailers Ltd have employed a number of trailer floor carpenters and have the equipment available to install numerous flooring materials from pressure treated Softwood on Agricultural trailers, to Wiseatran and Keuring Hardwood floor at different thicknesses on commercial trailers.